I'm lucky enough to work near one of the two Cottonbabies stores and love to go in and look at the new designs and patterns. 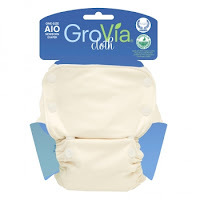 Today I stumbled across the GroVia all in one cloth diaper. 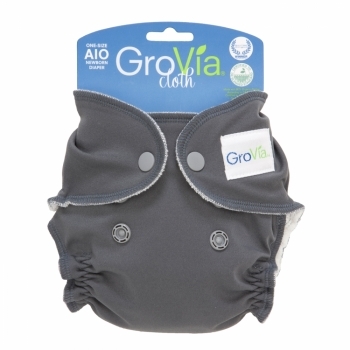 It features soft organic cotton, and the side tabs are super stretchy for a comfortable fit. 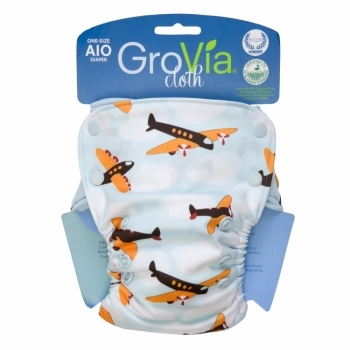 Even though the side snap design means that the diaper tabs are touching the baby, they are lined with soft cotton and there is no PUL or snaps touching your baby. The one size adjustment comes from a snap down rise that we're familiar with. The soaker is sewn in (NO STUFFING!!) 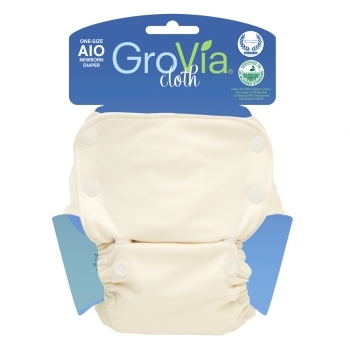 and is extra long so that you can adjust for extra absorbency where you need it. 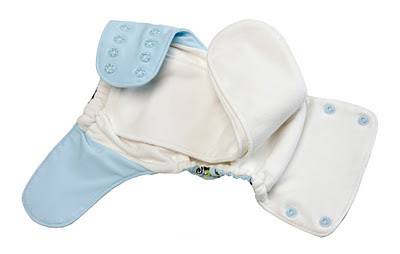 There is a snap in booster (doubler) that snaps on the underside of the soaker so, again, no snaps are touching your baby. 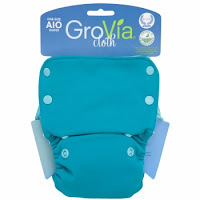 I love the idea of a long soaker that is sewn or snapped in on one side. I've noticed a few brands embracing this idea (similar brands: SoftBums or BumGenius' new FreeTime). We must have finally complained enough about how annoying stuffing your diapers can be. If you dislike the look of multiple snaps on your baby's cloth diapers, a side snap design like GroVia's All in One cloth might be a more visually pleasing option for you. Cute cute! I love the grey and blue color. Love these!!! 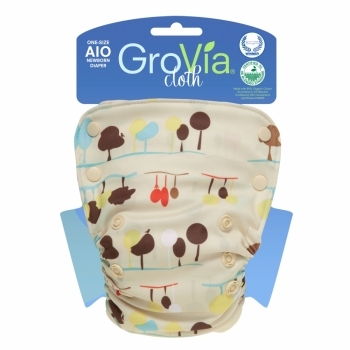 I recently got a One Size and have tried it on both my son (2.5 yo) and daughter (4 months). 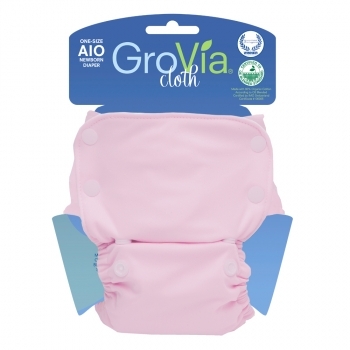 Beautiful fit on both and perfectly absorbent. i got 2 owls and one nature (too bad I didn't knew about the cloud, love the color) Anyway, I am really not in love with them and experienced so far maybe 80% of the time, leaks. The elastic at the legs is also pretty long to dry. I love the concept but the efficiency isn't there for me. I am also not totally in love with them. I think they are trimmer than most, which is nice. But, I think my daughter will grow out of them sooner rather than later. They seem to run a bit on the smaller side. It could change though, right now she is still pretty chunky. My hubby and I both dislike the side snap, it feels backwards. They are super cute though! I have the nature, planes, and mod flower. I have owls and nature. 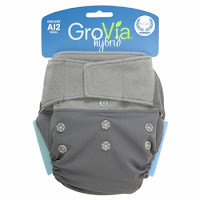 I really REALLY want to love these diapers, but right now i just dont! :( They leak everytime on my 4 mo old girl. I think it's bc her legs are too skinny for them right now? But the thing I am most frustrated with is that we get serious wicking on the side where the tag is! 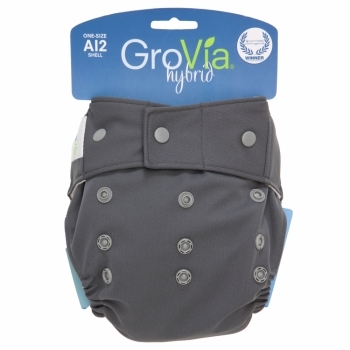 After about one good pee in them there will be a wet spot on her pants in a perfect rectangle, right where that tag is. I love that they are cotton though, so much easier to take care of with SUUUUPER hard water. I got some of the all in ones SEVERAL months ago (maybe back in Feb/March) and while they are trim, they are almost TOO trim IMO. They always find their way up Noah's bum. :-/ They also don't hold a lot of moisture either. They are great but need changed more often IMO. 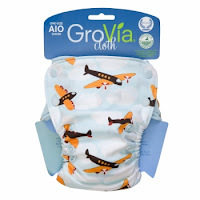 I also have the AI2 which I like but not my go to diaper since it's not very absorbent for my 15 month old son. 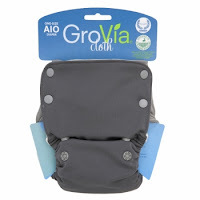 I LOVE the AIO! They do need to be fully prepped to be used without leaks, so for anyone with leaks or wicking, make sure they've been washed up a ton of times! They came out in May 2010, the Cosmos and Ice colors are discontinued and Cloud and Surf just came out this week. I struggled with a good non-leaking fit on my little man until he was about 13 pounds, but have been using them for my nearly 3 year old for ages! I do add a booster to all of her diapers now, and have done so for about 6 months, but I think that is normal for older toddlers to need more absorbency in one-size diapers!